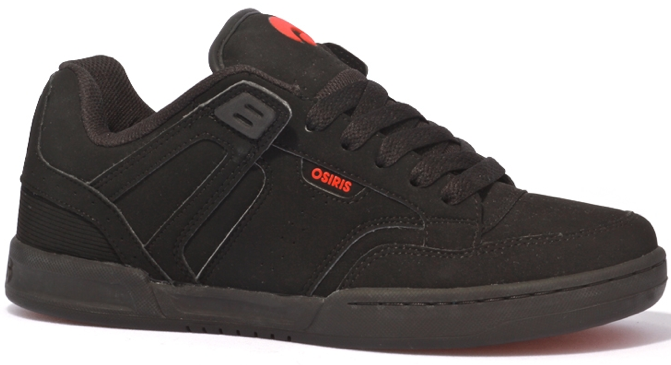 Lennix is a technical Vegan Skate shoe from Osiris. Cup sole construction, padded collar and tongue, with a Synthetic Nubuck upper. So far I have been psyched on my Pixels, the sole has barely worn, and the ollie area is just showing some wear after a month of ripping. The Lennix seems a little thinner, but still has the substantial build we all want from a tech skate shoe. Available in Black with Red detailing and sole for the Black Bloc in all of us. Do these have the pocket inside the tongue ? ?